Nile Gregory Rodgers is an American musician, composer, arranger, and guitarist, and is considered one of the most influential music producers in the history of popular music. 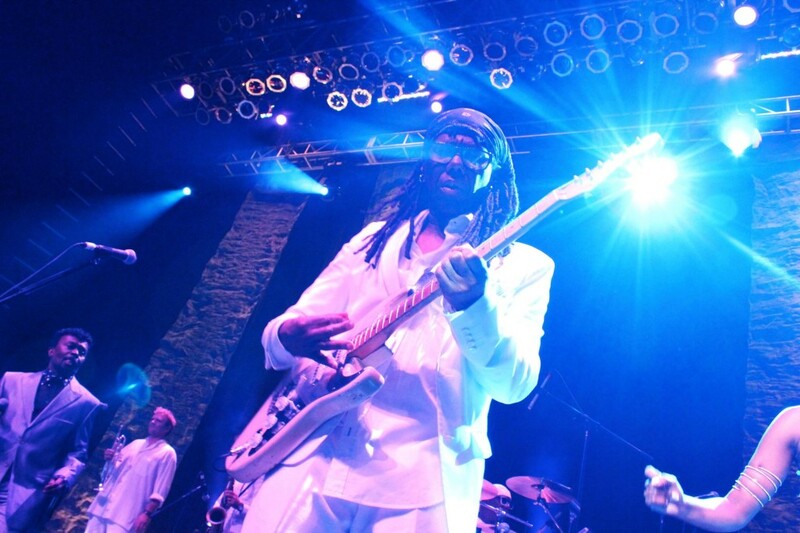 Nile Rodgers began his career as a session guitarist in New York, touring with the Sesame Street band in his teens, and then working in the house band at Harlem’s world famous Apollo Theater – playing behind Screaming Jay Hawkins, Maxine Brown, Aretha Franklin, Ben E. King, Betty Wright, Earl Lewis and the Channels, Parliament Funkadelic, and many other legendary R&B artists. The success of CHIC’s first singles led Atlantic to offer Rodgers and Edwards the opportunity to produce any act on its roster. They chose Sister Sledge, and the rest is history. The 1978 album, We Are Family, peaked at #3 and remained on the charts well into 1979. The first two singles, “He’s The Greatest Dancer” and the title cut “We Are Family” both reached #1 on the R&B chart, and #6 and #2, respectively on the Pop chart. “He’s The Greatest Dancer” was sampled in 1998 to create Will Smith’s “Gettin’ Jiggy Wit It,” which was #1 Pop for three weeks. As The CHIC Organization’s tight sound became increasingly sought-after, Rodgers and Edwards began record production with numerous artists – sometimes together, sometimes apart.